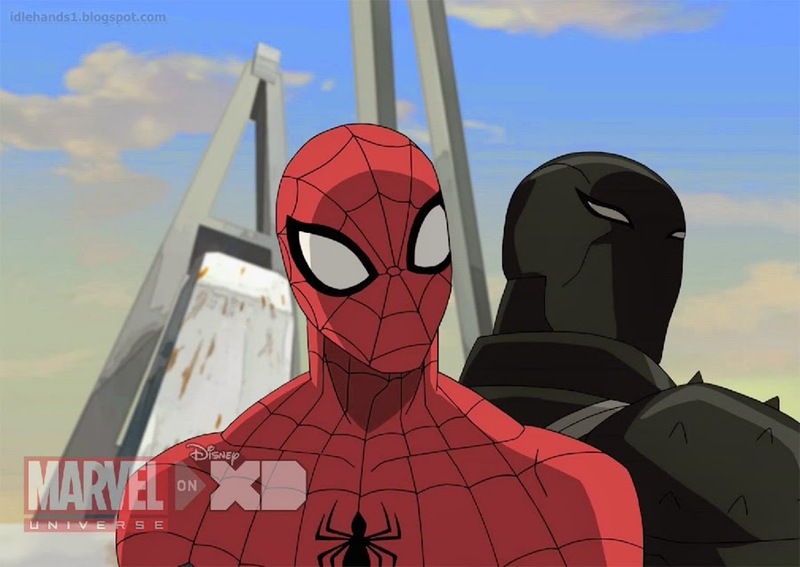 Disney XD has been doing a fantastic job of filtering the entire Marvel Universe into their Marvel Comics animated TV shows, right alongside Marvel Comics proper who always look for cross over potential to build a wider story..and audience! This weekend, Agent Venom arrives to take that cross over potential even further. ....crossing my fingers for a Thunderbolts story of course!!! When Spider-Man's classmate Flash Thompson is infected with Venom, the world will soon find out whether he will become a hero or Spidey's newest enemy. Can Flash reclaim his body and mind…before it is too late? BIG HEROES! BIG VILLAINS! AND BIGGER ADVENTURES this week, Share Your Universe with a brand new episode of Marvel's Ultimate Spider-Man: Web Warriors this Sunday at 8 ET/PT inside the Marvel Universe on Disney XD.